Procellaria bulwerii Jardine and Selby, 1828, Madeira. 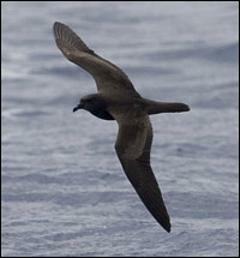 French: Petrel de Bulwer; German: Bulwersturmvogel; Spanish: Petrel de Bulwer. 10.2–11.0 in (26–28 cm); 2.8–4.6 oz (78–130 g); wingspan 26.8–28.7 in (68–73 cm). One of the smallest procellarids. 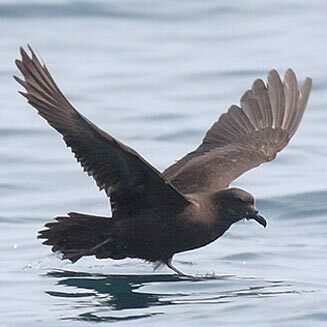 Dark brown plumage, long wings, flies with tail narrowed to a point. Throughout the tropics in eastern Atlantic and Pacific oceans. 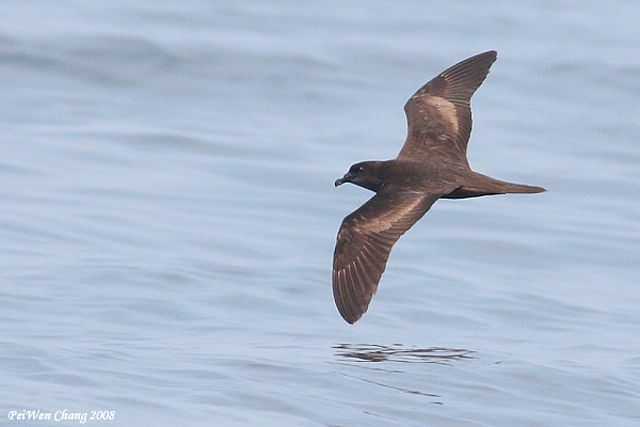 One study suggests that Bulwer’s petrel prefers warm waters of intermediate salinity, while Joaquin’s petrel (Bulweria fallax) prefers slightly higher salinity levels. Marine, strongly pelaqic. Breeds on barren, remote islands. Nocturnal. Both sexes make a barking call known as a “woof.” They do not call while flying. Feeds primarily at night on fish, squid, some crustaceans and sea-striders, by seizing prey from the surface. Breeding season starts in April or May. Nest in burrows, crevices, cracks, caves, or under other cover. 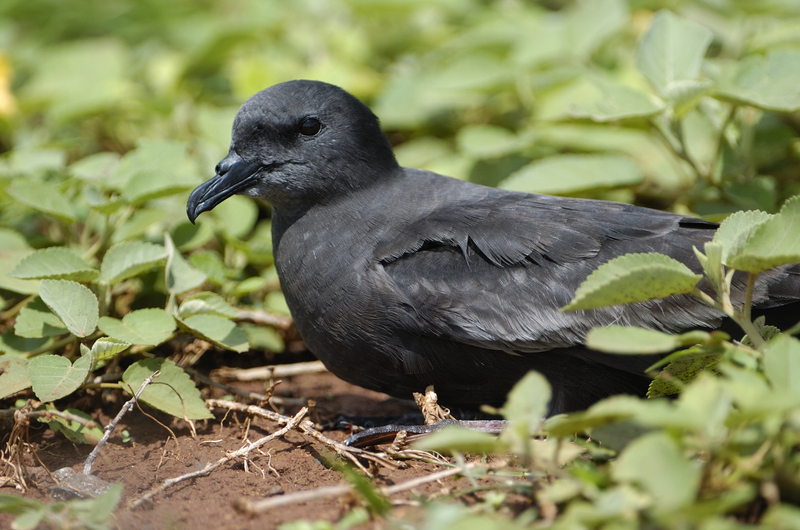 The single white egg is incubated for 44 days; the chick is blackish when it hatches; fledging after 62 days. 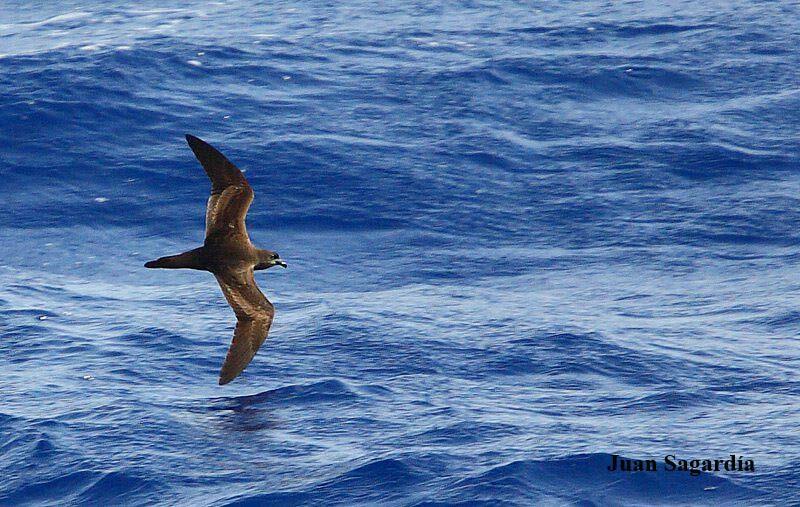 Collected for food and fish bait on Atlantic islands.